Set amidst the 2011 Arab Spring, Joe Schmoe Saves the World tells the parallel stories of an indie rock duo in America and a pair of Iranian students in Tehran. Raging against conformity, fear, and the status quo, two young women risk everything to change the world through their art. We were taken with both the energy of Joe Schmoe Saves the World and its examination of how one event can spark a global crisis of consciousness. Spanning two cultures with drastically different points of view, the piece asks a question we find particularly salient today: how do we make a difference in an increasingly wired world? 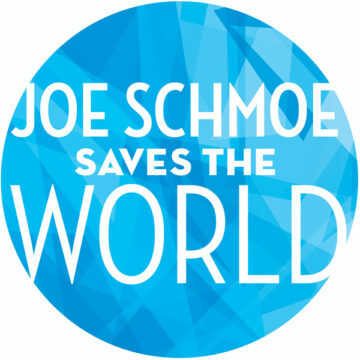 Joe Schmoe Saves the World was developed with the assistance of Stephen Schwartz and the ASCAP/Dreamworks Musical Theatre Workshop, and the Black Swan Lab at Oregon Shakespeare Festival. Residency at Indiana University Bloomington’s Premiere Musicals program in August of 2017. Joe Schmoe Saves the World is an original story incorporating real people, places and events within an imagined context. This is a story for an American audience that engages us in a dialogue between the American and Iranian worlds. We envision that both stories unfold on a single set that is suggestive of both locations. The sharing of specific props (e.g., a guitar, a tie, some candles), as well as the use of light and stagecraft will allow the characters to physically inhabit one another’s world, thereby highlighting themes of shared struggle, interconnectedness and global village. We are interested in breaking new ground for musical theatre. We hope to push the boundaries forward by exploring international subject matter with diverse casts and points of view; incorporating dance club beats, world rap and pop/rock music; and employing unusual storytelling structure and devices. This piece had its first public presentation only last summer at the Geffen Playhouse. We are looking to develop it further from a formal workshop into full production, and are seeking theatres and commercial producers to help us achieve that goal.